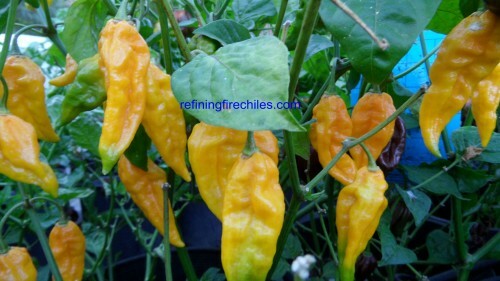 Fatalii-(Capsicum chinense)Bright Yellow long pendant pods from Central African Republic that have slight citrus flavor. Extremely hot! Pepper pods get up to 3 inches long. The Fatalii chile plants grow up to 4 feet tall.